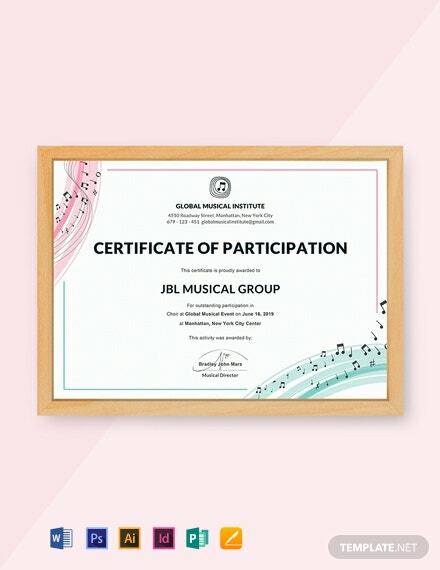 Officially certify the participation of individuals who joined an activity, event, training session, competition, or any kind of program by producing a certificate. 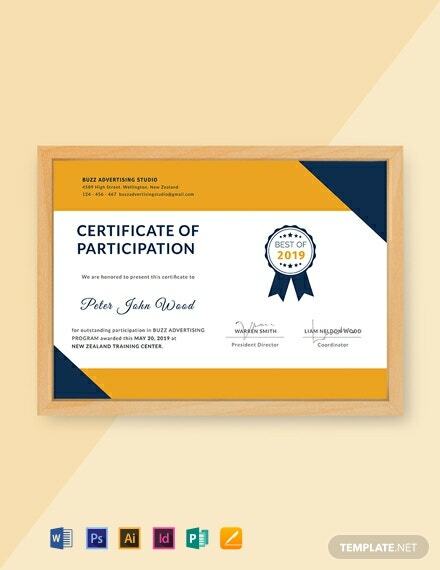 Choose from one of our wide variety of certificate of participation templates that are free to download and professionally designed. 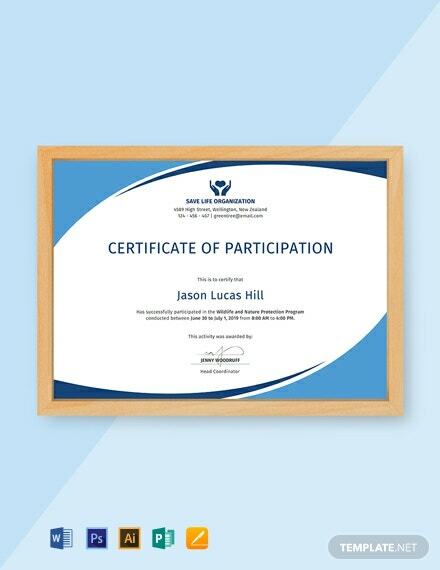 These certificates may be required by a local government or other authority for a number of reasons. The files are ready made and fully customizable for your convenience. They also make use of high-quality layout, artwork, images, and graphic files. Print ready and perfect for commercial as well as office printing. Easily Editable and can be opened in all versions of Adobe Photoshop (psd), Illustrator (.ai), Indesign, Microsoft Word (.doc), Excel (.xls), Publisher, Apple Pages, Mac & Google Docs. Participating in activities, forums, and seminars not only enhance you on a personal level, but academically and professionally as well. 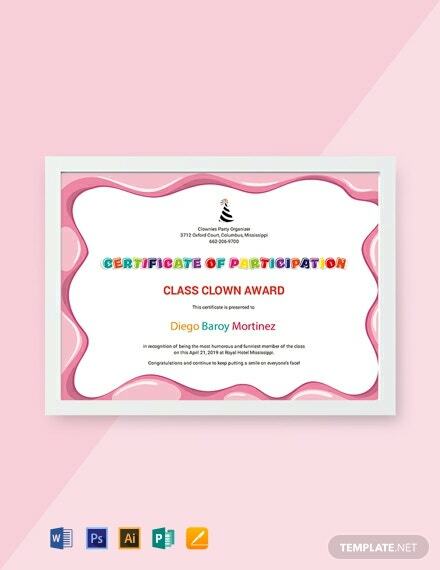 Many people think that participation certificates are not that important but they actually have more use than just a bookmark. 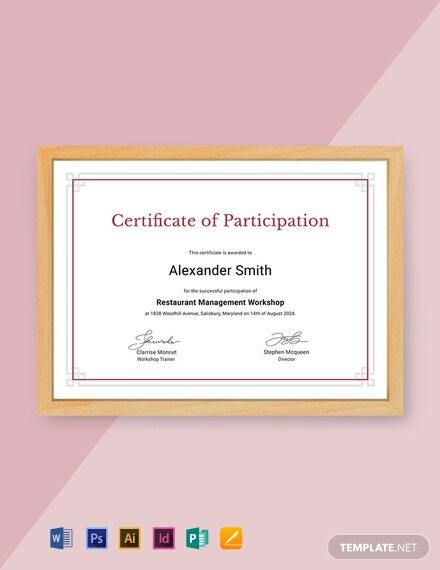 These certificates serve as proof of participation for events that would actually be good for your resume, such as leadership workshops, training seminars, and such. 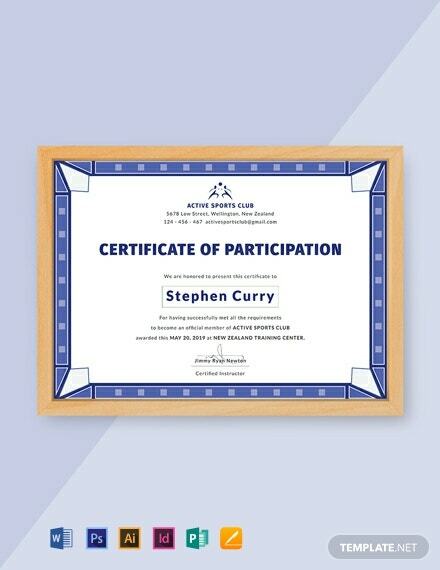 Participation certificates are distributed without the need for competition with fellow participants. 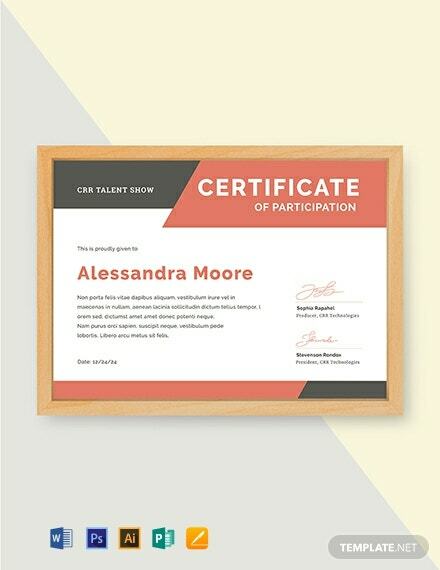 For students and fresh graduates, the number of trainings and seminars they have participated in can surely award certificate their resume a boost for college or for job interviews. 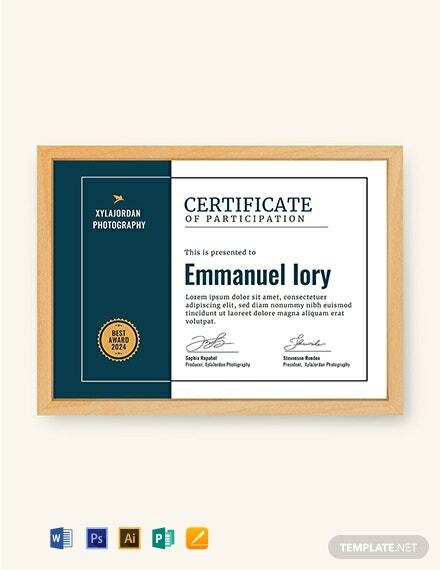 Thus, these certificates can be a great motivator for them to continue their progress in their chosen fields. 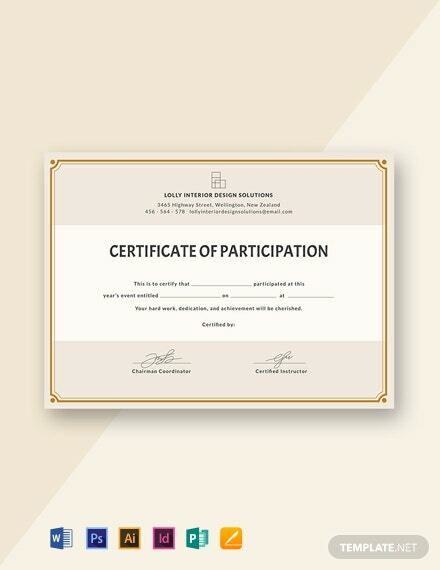 Participation certificates don’t necessarily have to be expensive, yet they are very effective in indicating an organizer’s appreciation of every participant’s role. 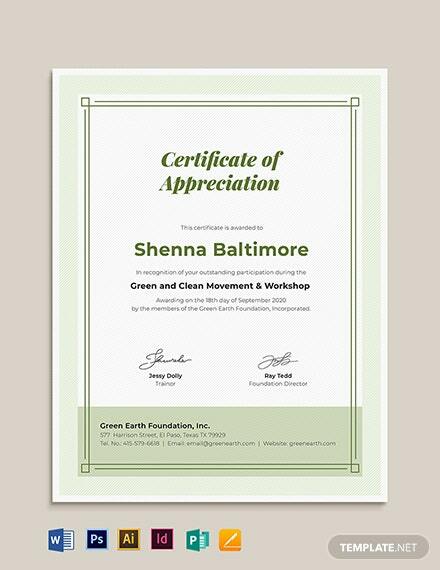 This kind of recognition will mean a lot to the individuals and can boost morale. 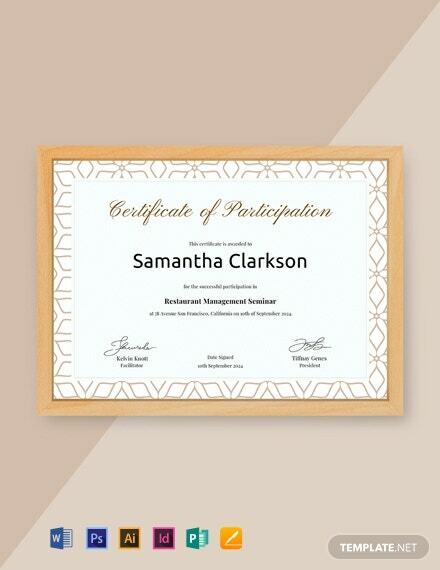 In fact, employers today place a lot of emphasis on specialized skills on top of degree credentials. 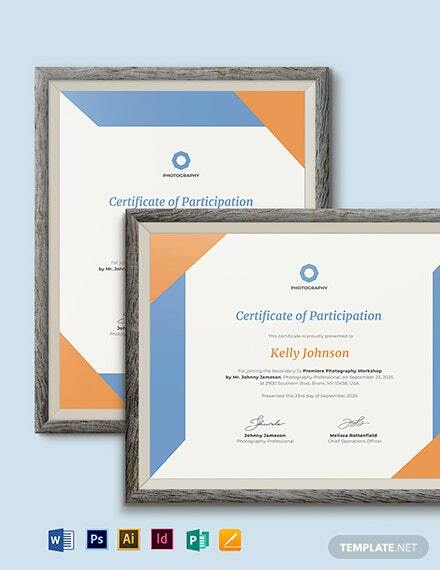 These certificates offer a chance for you to get a leg up in the industry you are aiming to take part in. 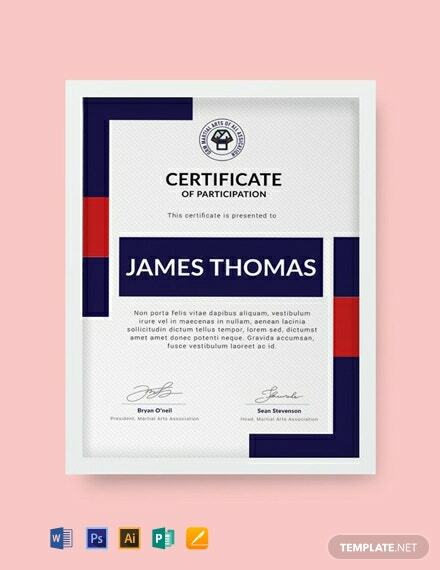 As it is with certificates, they are uniquely created by designers hired especially by a business or institution, making them very distinct. There are some similarities to them, however, including the details that are expected to be shown in print. 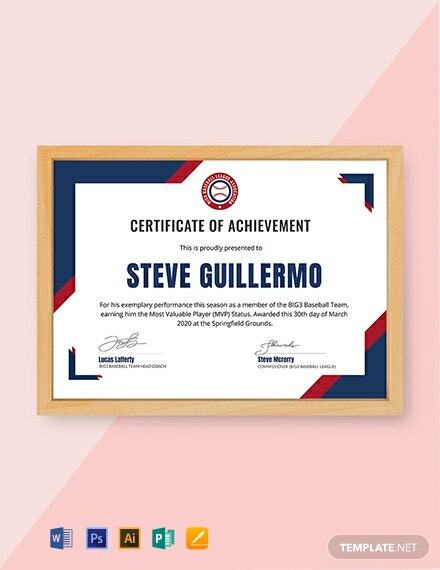 These details include distinctive emblems and logos, an official indication of an individual’s participation, or even personalized statements of appreciation. 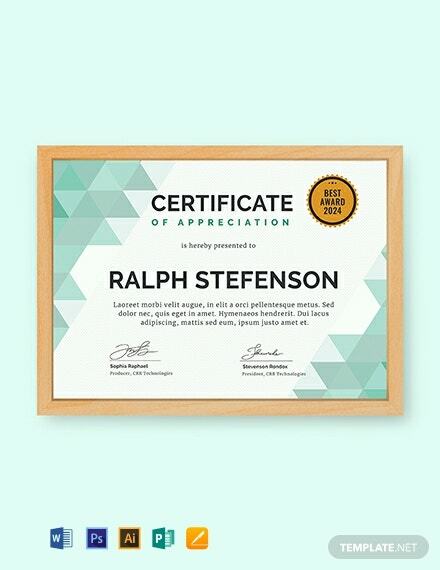 A wide variety of ready made appreciation certificate templates are available for download at Template.net. Each of these creative templates are yours to use as you desire. 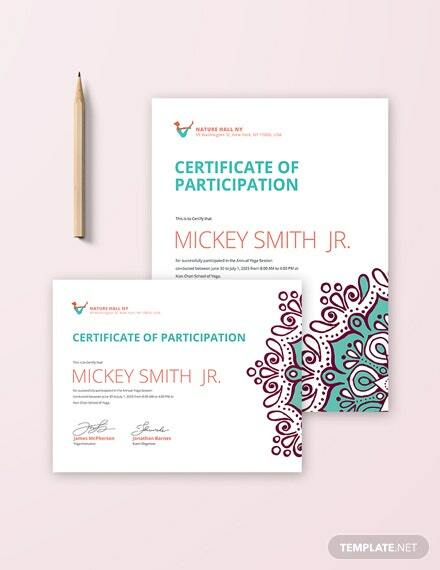 The premium designs are available in multiple file formats such as Microsoft Word, Adobe PhotoShop and Adobe Illustrator, so you are sure to find a participation certificate that fits your style. Each of these downloads also come with high-quality images and graphics as well as stunning text to pair with, making them editable and highly customizable for your convenience. 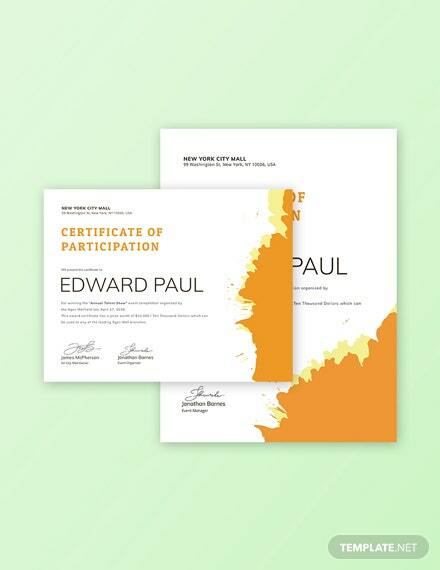 This way, you can definitely make the most out of your downloadable template and impress your participants with the beautiful certificates made are available for use, and are readily printable on office or commercial printers. 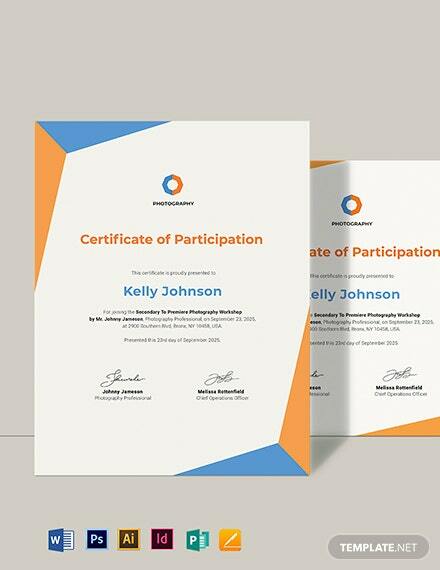 Feel free to take a look at Template.net’s vast template library, select your the perfect participation certificate for your event, and download now.